Light brown, velour leather Trachten bag for women. With its subtle colour palette and beautifully balanced proportions, this folk bag by Schuhmacher is a perfect companion for any outing. Colour-coordinated decorative borders in a dark leather material and a large metal edelweiss appliqué lend this bag its alpine charm, while retaining a nicely understated look. The bag has a large main compartment, which can be secured with both the magnetic and zip fasteners. 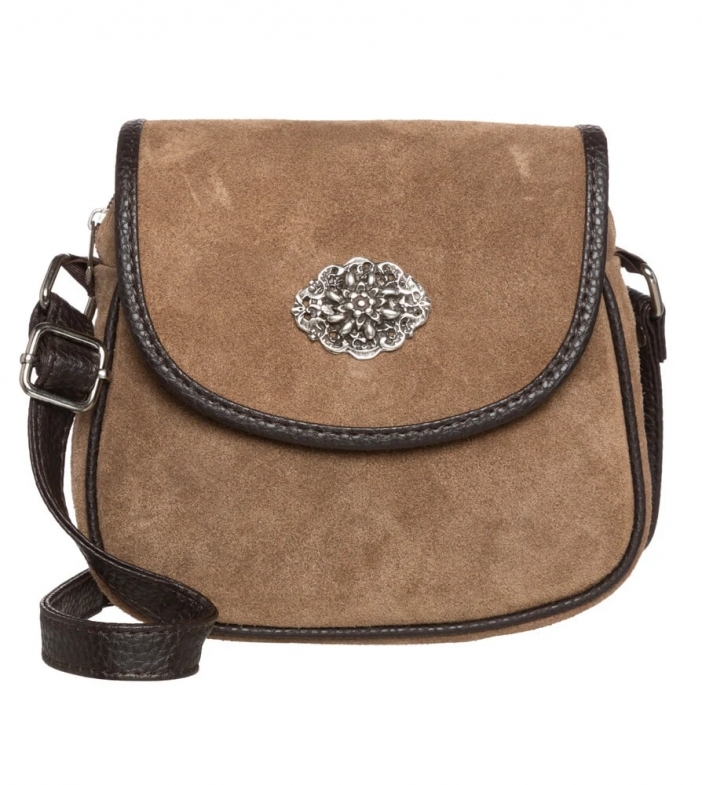 The elegant, adjustable shoulder strap make this Schuhmacher bag wonderfully versatile. This bag looks great worn with a Trachten outfit, but stylish women with a love for tradition will also quickly recognise that this bag makes a great all-round accessory.